Following an extremely busy weekend, today I finished my 27th book of the 2015 Reading Challenge, and my 32nd read of the year: City of Bones by Cassandra Clare (#49 A book based on or turned into a TV show). This book is currently being adapted for a TV series, starring Harry Shum Jr as Magnus Bane, so that should be interesting. “‘City of Bones’ is an action-packed novel, following two main characters, Clary, a 15/16-year-old Shadowhunter (who is not aware of her true heritage), and Jace, a 17-year-old Shadowhunter. There is so much going on in this novel, that at times it was difficult to keep track of who was who, and why they were doing the things they were doing. For example, they go off in search of the Mortal Cup (apparently to make more Shadowhunters) but why? Certain things like this lost me somewhat – this novel at times felt like there was simply too much going on: vampires, werewolves, shadowhunters, warlocks etc who appeared for a scene and disappeared as though they were never there. I enjoyed the characters of Simon, Luke and Isabelle, who actually had some personality to them. Clary and Jace both seemed up for anything, and nothing phased them. Valentine wasn’t a scary villain – I actually thought he was pretty weak. I realise my review made it sound as though I didn’t enjoy the book, but that is far from the truth. I listened to the audiobook and I found it engaging and fun-filled, and I will definitely be continuing with the series. 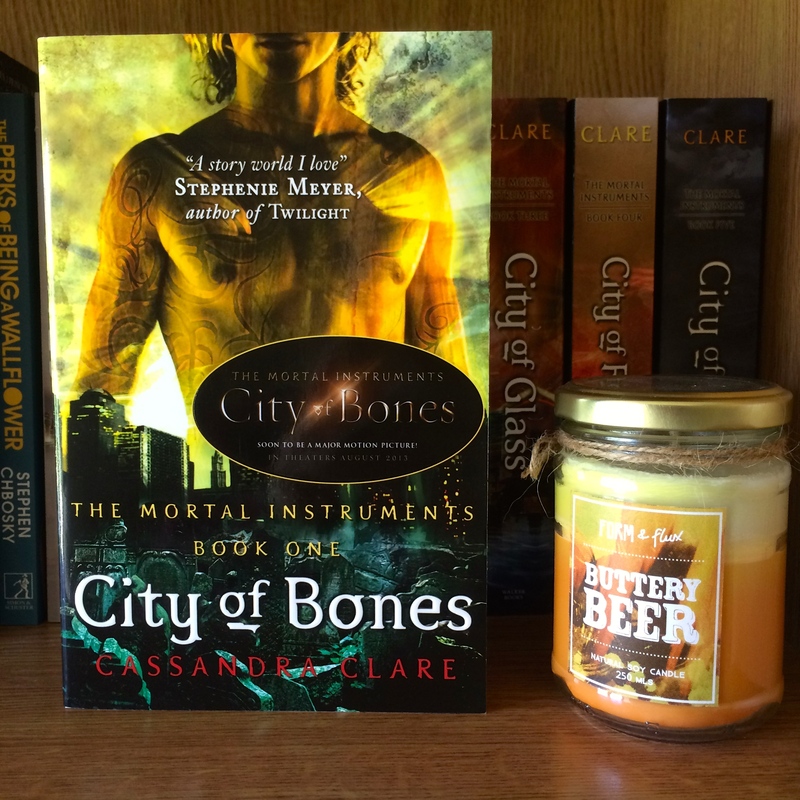 so, don’t know if you got it, but they have to find the mortal cup because Valentine is after The Mortal Instruments. He wants to eradicate all of the downworlders, and the shadowhunters are not up for that… simply put. So they have to find these 3 pieces before Valentine, because the last thing they want is Valentine creating mad shadowhunters, which is basically the plan. There is a lot going on on this book – though I hardly remember it, because I read all the first 5 back to back – but the character develop a lot more during the next books and they’re amazing. This was clearly written as a part of a series, so the book is meant to leave you wondering, you know? My favorite thing about these books is the change of POVs, while in the first one we only get Clary and Jace’s (from what I remember), the next ones have all other POVs, which is AWESOME! No, as I understood that The Infernal Devices kind of carried on from TMI – although some people I know recommended reading them after the first three TMI novels. yes, after the 3 first novels would be ideal, given that the set up is actually long before TMI, though there might be some spoilers in the infernal devices for the first 3 books of TMI.